Size : 44. 15-35 standart. VERSACE CHAIN REACTION ALL SIZE AND COLOR AVAILABLE, ONCE YOU BOUGHT DM ME WITH YOUR SIZE AND COLORWAY! COMES WITH BOX, TAGS AND CLOTH BAG! •DHL DHIPPING INCLUDED 7/10 DAYS! (ORDER ELABORATION TAKES 4 DAYS) WRITE ME FOR MORE INFOS! 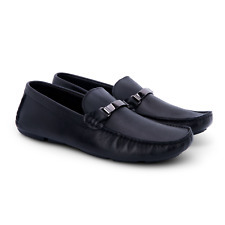 Put a sophisticated finish on your weekend look with the original black leather loafer from Versace. Size UK 7 EU 41. Black leather upper, rubber sole. Signature Gift Box, Silk Dust Bag. Condition is Used. A league above other similar boots. Beautiful deep rich burgundy colour. Ultimate classy style and wonderfully craftsman made. VERSACE! Collection Men's White Leather Fashion Sneakers Shoes! BRAND NEW! OVP! Verkaufe hier ein sehr schönes Paar Schuhe der Marke Versace (original!). Condition is New with defects. These were brought for £220. Clean and gently used; slightly frayed lace. Zippers are really just aesthetic anyway. It looks fine without them, but obviously they are not factory perfect. Still plenty of life left on these well crafted, head turning sneakers. you won’t be disappointed! External length: 10 in / 25.5 cm. Medusa Emblem. Gently worn. Great condition! European size 43 44. Made in Italy. Authentic. Gianni Versace men’s black leather boots, size:9, very rare and hard to find in the US, great condition leather and very little heel wear. These are authentic Versace Versus Men's Red Leather Hi Top Fashion Sneakers Shoes. US Size 10. GIANNI VERSACE black leather dress shoes with medusa head size 8 1/5. Condition is Pre-owned. Shipped with USPS Priority Mail. Versus is the sister fashion line of iconic fashion house Versace. A more alternative fashion collection, the undeniably cool attitude of the clothing and accessories builds on the legacy of the Italian fashion house. This is Lion Head Versus Versace Men's Lace Up Oxfords dress Shoes in Black. A must have to your footwear collection ! Sleek, stylish Versus Versace shoes for almost any occasion. Mit seitlichen Goldschnallen. Innen Futter im "Krokodil-Design". Schwarze Leder Boots - Sneakers - Biker. Die Schuhe sind neu, wurden nur einmal probegetragen -. Versace for H&M. inklusive großem original Versace for H&M dustbag ! VERSACE Jeans Hi-Top Gray Shoes. VERSACE Jeans. Size 41 EUR (8 US) Here is a nice pair of hi-top shoes. The loop on the back of the left shoes is missing (see pictures). The shoes will need a little bit of cleaning. Material: Leather. PICTURES WERE TAKEN FROM THE ACTUAL ITEM UNLESS SPECIAL INDICATION! Mens Versace Crododile & Suede Brown Penny Loafers 43.5 (UK 9.5) Excellent. Condition is Used. Dispatched with eBay delivery – UPS 1 day tracked. Excellent condition. Not even a millimetre off the heel. Will come with Dunkelman large heavyweight shoestretchers as shown. You won’t be disappointed. Thanks. New Versace Men Ivory Sandals SZ 44. Condition is New with defects. It was a display model that’s why has some wearing signs.Shipped with USPS Priority Mail. Material: Leather. Style Ankle Boots. PICTURES WERE TAKEN FROM THE ACTUAL ITEM UNLESS SPECIAL INDICATION! Color Blue. SKU: Shoes-4006.